Ostrich egg wash thoroughly with cold water. 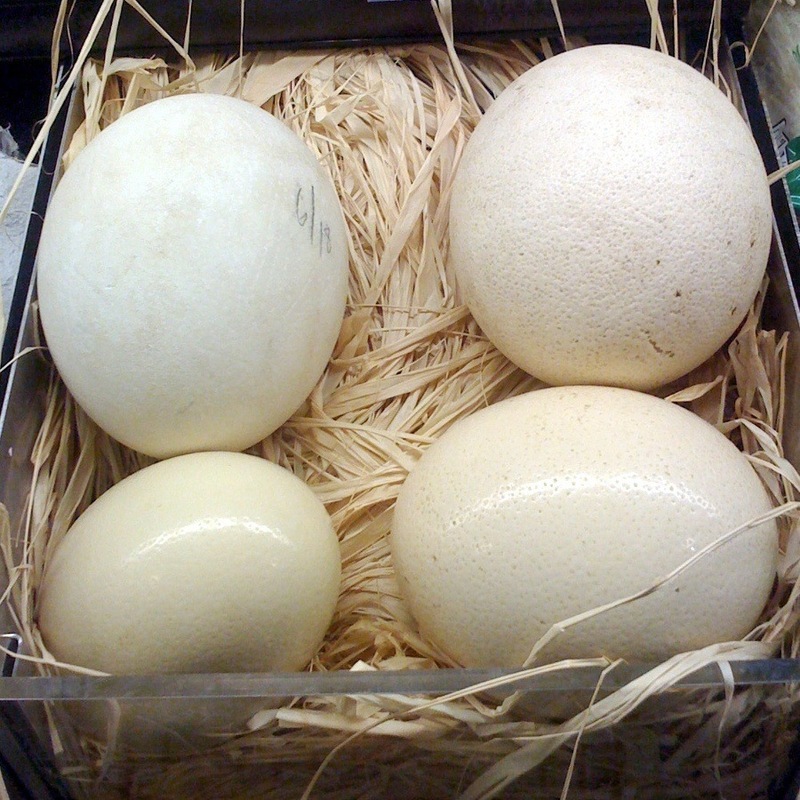 Ostrich eggs put into cold water. Cook over softly for 45 minutes or 60-70 minutes for hard-boiled. Time start to count from the moment of boiling water. Water with salt to prevent cracking the shells.